Tampa, FL November 20, 2014 – DW® is pleased to announce the expansion of our IP technology product line. DW now offers the popular MEGApix IP camera technology in a new 2.1MP Pan, Tilt, Zoom (PTZ) camera with 5X optical zoom in both flat dome and flush mount models. 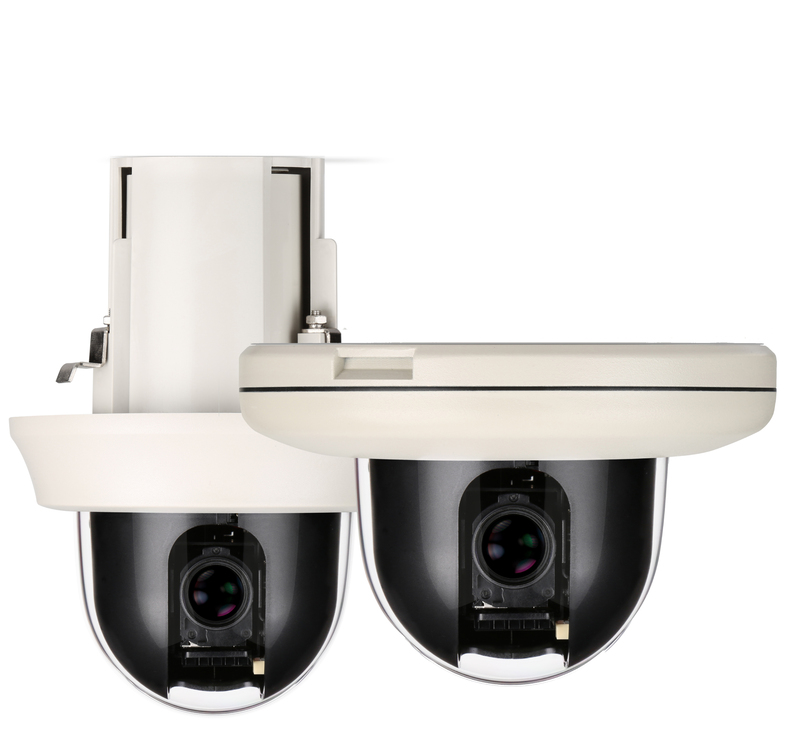 These very aggressively priced cameras further round out our already proven IP product line, offering additional examples of our commitment to delivering powerful and reliable security solutions to our customers worldwide. The MPTZ5X camera is a triple codec PTZ network camera that provides 1080P megapixel resolution at 30 frames per second. The camera’s advanced features such as True Day/Night, 3D-DNR and WDR help to deliver the best images in any type of lighting environment. The camera’s powerful 5~25mm Lens offers 5x optical zoom controlled from the camera’s web-viewer without the need for additional cabling. PoE and a Micro SD card port boost ease of installation and management. The MPTZ5XFM flush mount model offers additional features such as 2-Way Audio and Sensor In/ Out Interface.